Don’t Be Afraid To Ask? Our friendly team are happy to answer any questions you may have. Please call or email to learn more about the services we offer. We look forward to hearing from you. How much does homecare cost? Level 1 – Companionship, help with cooking, socialising, light cleaning duties and shopping. Level 3 – level 1& 2 plus intense personal care including incontinence. Level 4 – Level 1, 2 & 3 plus use of hoists and equipment and bed care. Astar Homecare head office is based in Shropshire. 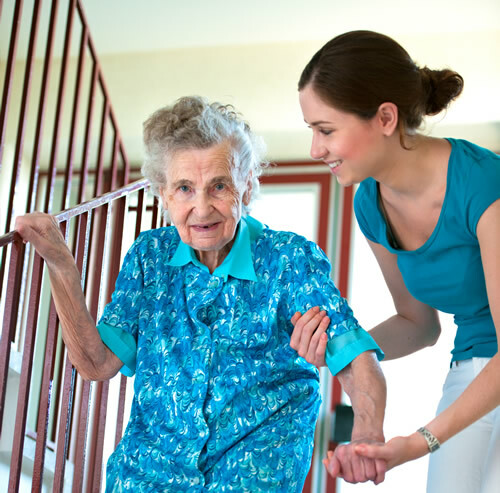 For respite and reablement we cover many areas within Shropshire and for live in care we cover the whole of England. We do not like to limit the areas we cover; the most important thing for us is finding the right package for you. How do you choose your carers? All our team (including management and the office team) go through a robust recruitment process. Every member of our team has a Disclosure and Barring Service check and a minimum of two references on file. Both of which are followed up by a phone call. Our carers come from a variety of backgrounds, are both male and female and various ages but most importantly are committed to their roles and Individuals. Most carers are available for immediate start, however it is of paramount importance to us to get the right carer so the more time we have the easier it is to find the right person for YOU. We strive to be the best we can be and as a family run business we understand the importance of finding the right person for you or your loved one. We are regulated by the Care Quality Commission and are members of the UKHCA, Skills for Care and ICO and we are also working towards “Investors in people” accolade. What will my carer do? Whether it is light house duties or intense personal care or anything in-between we can help. The most important thing is making sure YOU are happy and it’s right for YOU. What if the carer and I don’t get on? It’s so important for us to get everything right for you. Our management team work very closely with recruitment to find the right people who are dedicated and committed to you. We work hard to match carers with Individuals according to ability, interests, hobbies, and experiences. We continually assess and monitor our services and would easily identify if something wasn’t working and would find an alternative carer. For live in our carers would need a room of their own with bed linen. Why is this a better alternative to a care home? 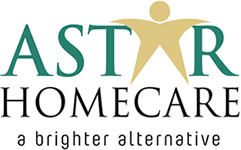 Astar Homecare is offering a brighter alternative. It is our strong belief support at home allows you to retain your sense of independence and dignity in your own home which is so important to us all. Even something as little as being able to stay with a pet, around neighbours, friends and family can be so good for your wellbeing. You can have one to one specialist care whilst in your familiar and relaxed surroundings.